With years of experience of the processing technology, we achieve the highest quality. We have developed own equipment according to demands with technology and field of adhesion and processing, We will manufacture with high quality and short delivery time. We adopt consistent production system to slice the urethane foam and more from Raw Material. 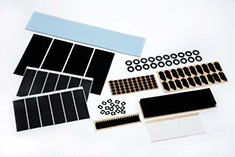 To adhesive processing, cutting, punching and finishing. High quality of various products created from our own production. We have production systems that slices raw urethane foam and various insulation materials coastantly and adhesive coating, cutting, punching and packing. Our high quality products have been highly trusted from customers that various aspects, flexibility and various production produced , and also the reliability of the delivery time. We pay more attention to final process until the delivery. 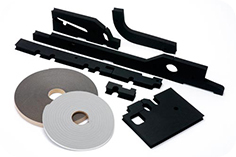 In this department, Such as cutting, Pressing and Slitting to the finished products with adhesive lines. We also take orders from small quantities, Please do not hesitate to contact us. Excellent Performance in both buffering and vibration isolation is demonstrated. Packing and Sealing Material used for automobile. We will produce reliable standards in different areas of Automobiles where it required. Packing and Sealing Material used for home appliances. 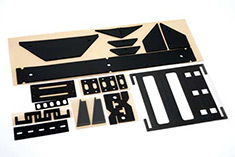 We support a wide variety of products with precise and advanced production technology.